Other than a trusty eye mask to block the light, a pillow is going to be your best friend on any long-haul flight (or train ride)—after all, flying is often a bit stressful. 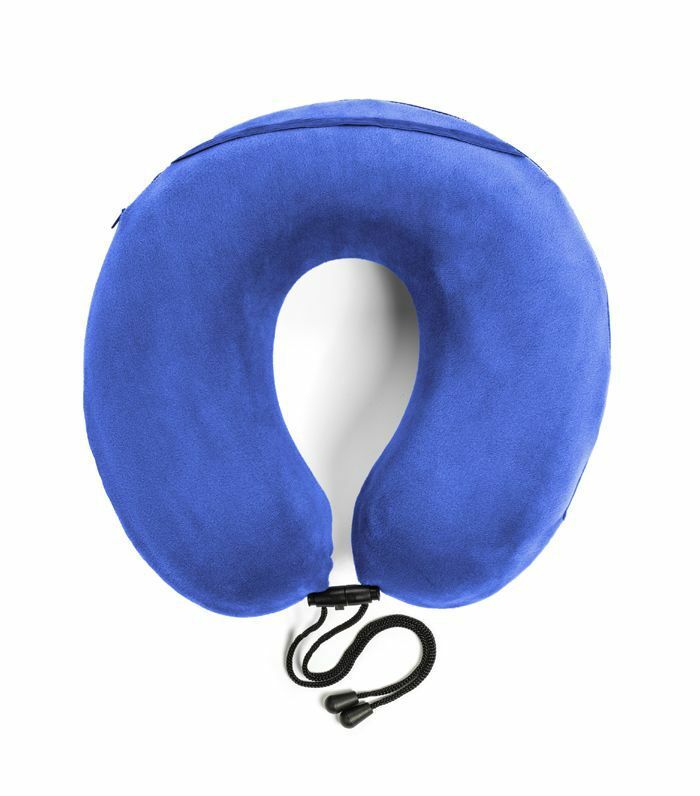 Packing, getting to the airport on time, and crossing your fingers for no delays can be exhausting, but if you have one of the best travel pillows on hand, you're just about guaranteed to catch some much-needed z's while up in the air. Gone are the days of boring travel pillows. Innovative technology boasts everything from body-responsive memory foam to 360-degree support, all designed to help provide optimal rest. Since it takes some time to weigh your options, it's probably a good idea not to wait until you get to the terminal to search for yours. 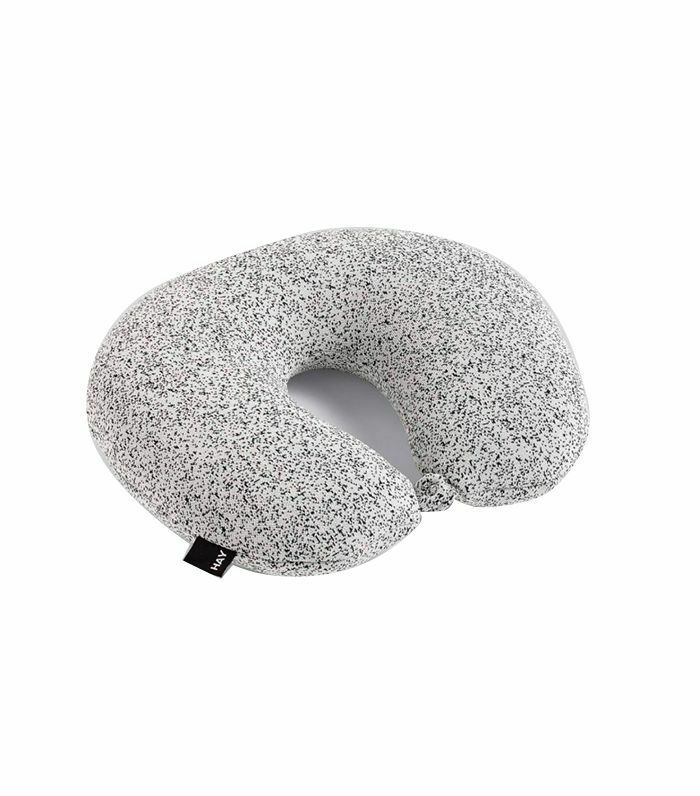 Which is why w've made it easy, curating our list of the best travel pillows out there. Go on, get cozy. This warm yet lightweight down jacket easily converts to a comfy travel pillow via a hidden pouch in the collar. How much more travel-friendly can you get? 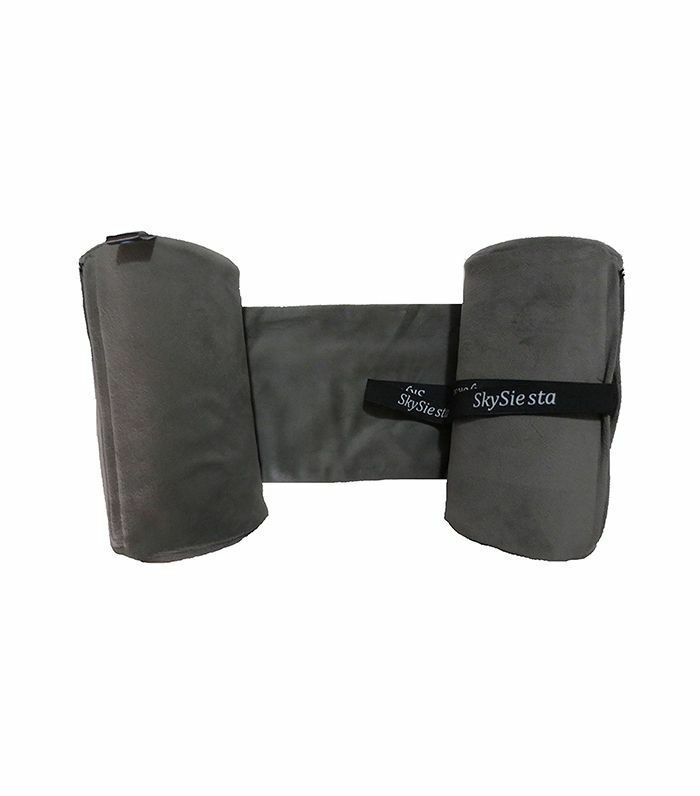 The internal ribs in this innovative style give you scientifically proven support. 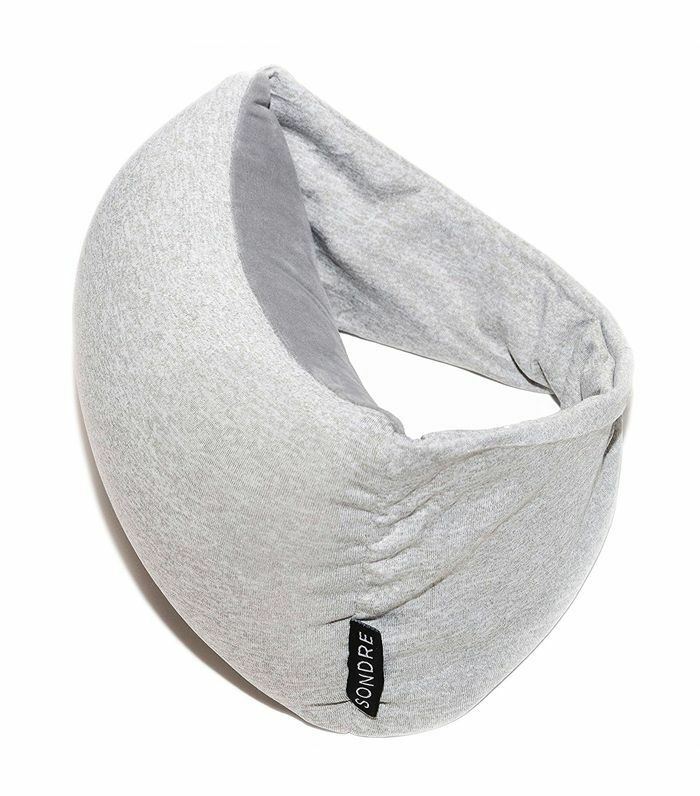 Ultra-soft fleece and foam create a hammock effect for your head and neck (plus it's machine washable—crucial when you're traveling from here to there). This U-shaped pillow is rendered in a cozy velour cover, ensuring sweet dreams ahead. Thanks to a thermosensitive memory foam that molds to the contours of your neck and shoulders, you're able to keep your natural alignment while you rest (and you can adjust the fit to avoid slipping and sliding). 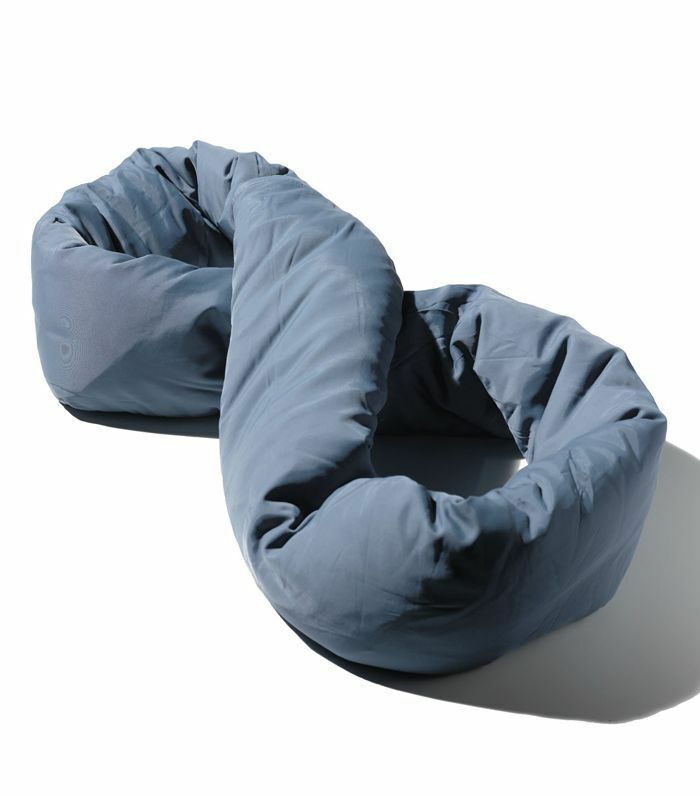 A long, curly shape allows the Travelon Deluxe Wrap N Rest to coil around your neck and hold your head upright during sleep. Simply position the tail directly underneath your chin if you need a little more support. A pretty marbled style contains a polystrol ball filling with chips that adapt to different neck shapes. Plus the front button closure ensures it sits tight while you catch some z's. 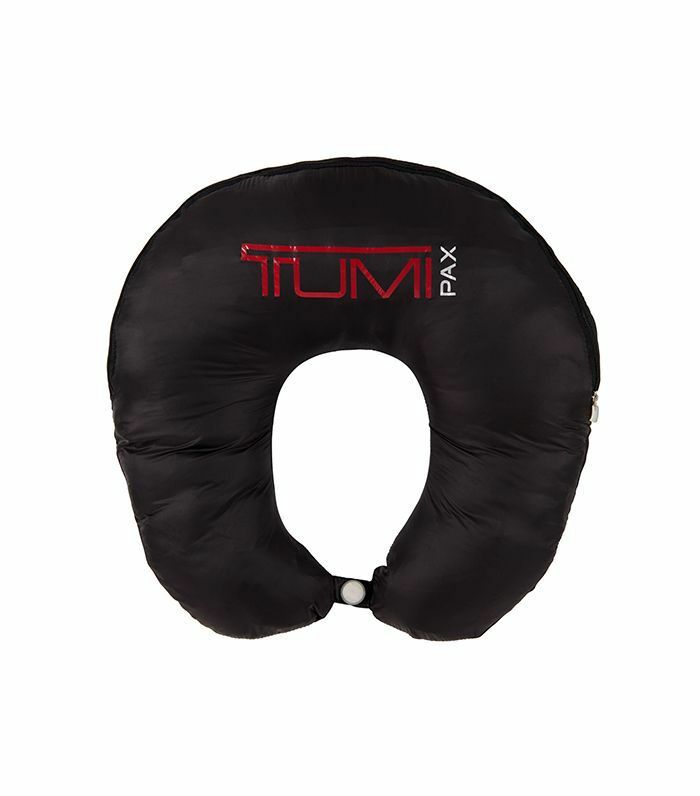 One of the best travel pillows includes foam bolsters that work for both back and side sleepers. Slip on the matching eye mask and let your worries fade away. 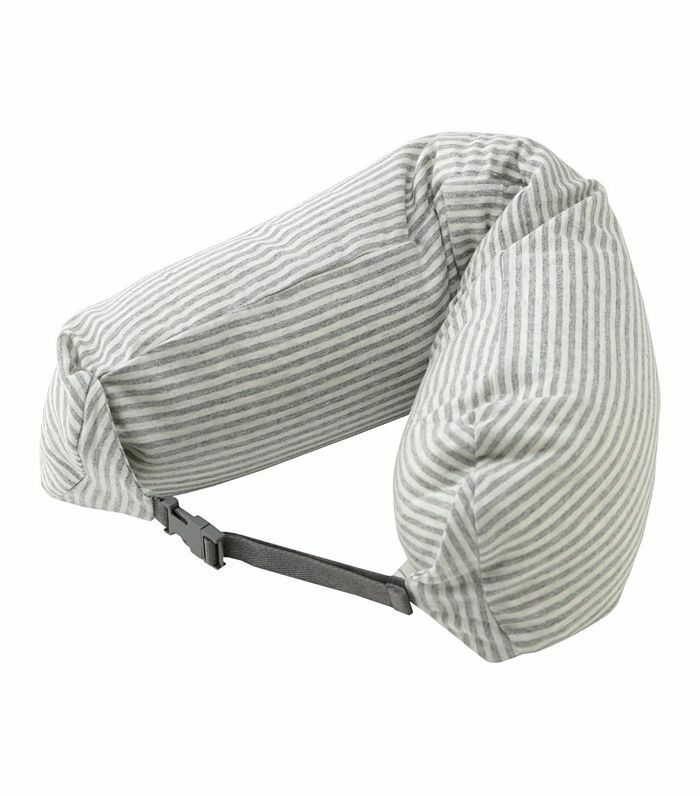 Muji's cute cotton number is the perfect cushion for when the napping occasion strikes. We're loving the sweet stripes. 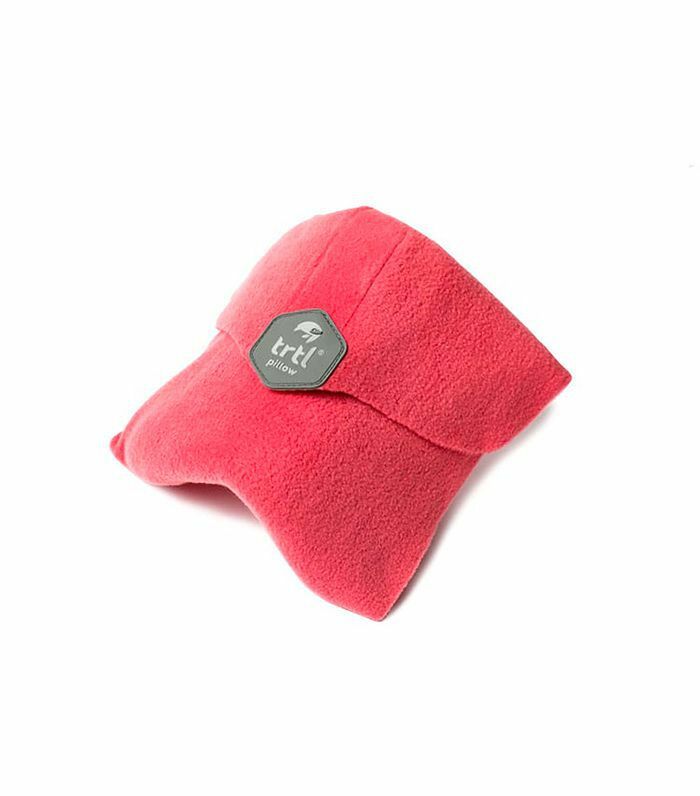 This lightweight travel pillow also doubles as an eye mask, making it a little bit easier to get some shuteye on a long-haul flight. 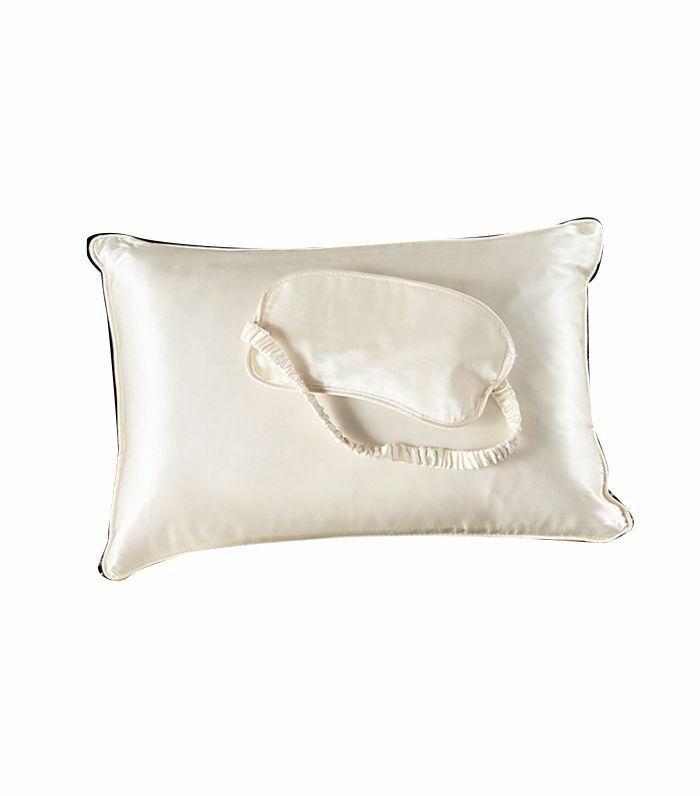 Everything is better in silk, including a luxe eye mask and matching pillow. The best part? Your blowout won't get ruined in transit. 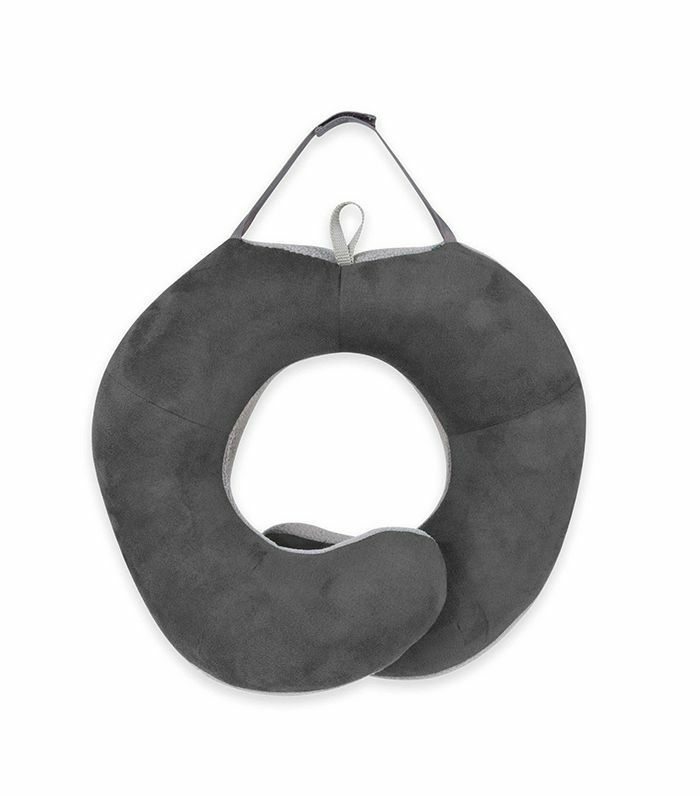 This travel pillow is about as high-tech as they come, thanks to its shape-responsive memory foam and 360-degree support. No matter how you sleep, you'll be set. 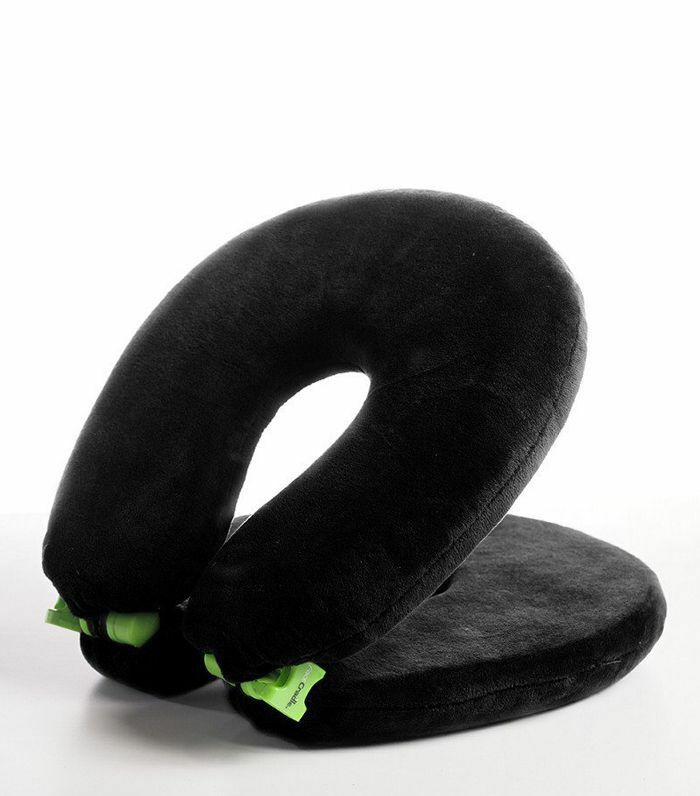 Made of memory foam, this neck pillow is so comfortable it promises to make you forget you aren't sleeping at home. 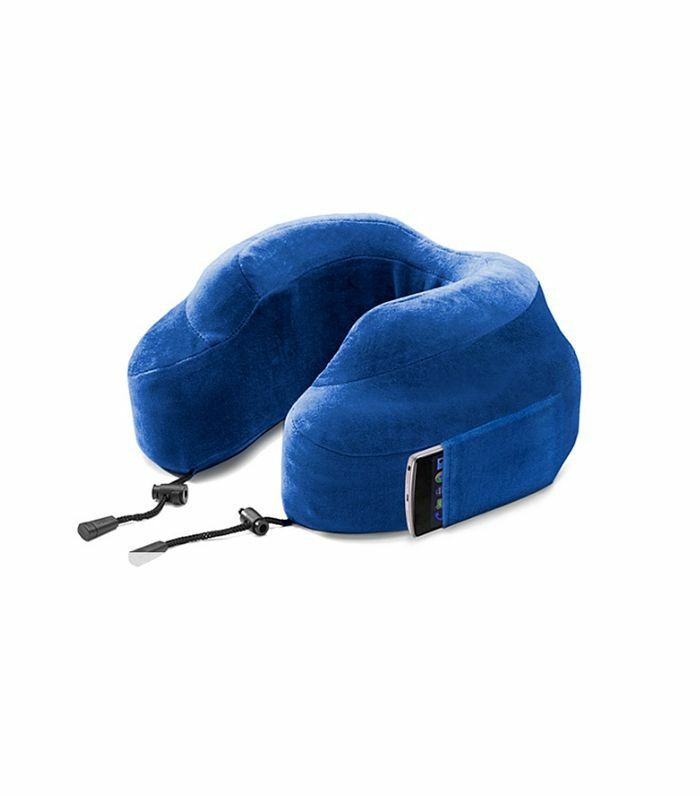 Boasting an infinity shape, this travel pillow can easily be converted into different configurations for maximum comfort. Up next: These minimalist packing tips will convince you to go light. This story was originally published on July 16, 2017, and has since been updated.